We have 2 fully equipped kitchens with all mod cons and a convenient serving hatch. It is stocked with china crockery and all necessary cutlery and utensils. The 'outdoor' kitchen is a less glamorous affair for 'back to basics' cooking. It offers a large urn, toaster and oven. It is stocked with basic utensils and plastic cups and plates. Electricity is optional! There are 3 large barbecues, generally received with ashes still in them (we ask that they are cleaned prior to use rather than after to prevent any accidents cleaning away hot ashes). The Dining room seats 48. Also used as a meeting room or classroom, it contains a whiteboard and a cupboard full of board games There are a number of outdoor picnic tables, as well as the woodland seats by the fire on which to enjoy a picnic lunch. Our large open fire pit, surrounded with woodland log seats, offers the perfect setting for traditional campfire cooking and storytelling. Separate to the accommodation are the male and female toilet and shower facilities, disabled access wet room and toilet plus staff shower and toilet block. (Four toilet blocks, two with 2 showers and 2 toilets, a further two have one toilet and shower each with a wet floor area and disabled access.) We have a portable ramp to access certain areas of the site, a disabled toilet and shower wet room facility. For laundry, there is a washing machine in the main kitchen. 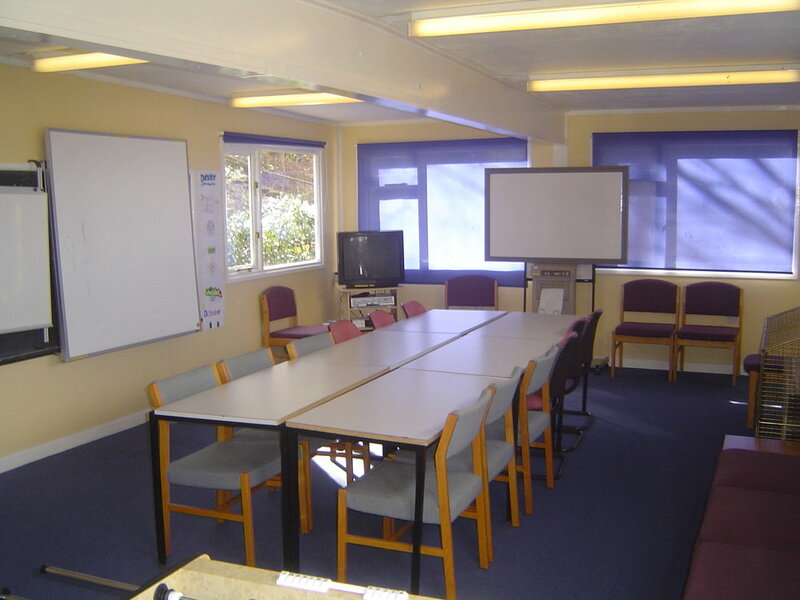 Our purpose-built classroom seats 32 and is equipped with white board, blackboard, internet access and a projector screen. It is a perfect place for expedition planning or reviewing the days' lesson.